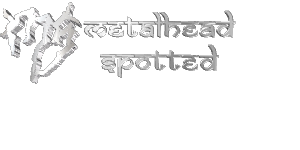 Death metal is always appreciated and preferred for metal heads there is no doubt about it . In the matter of metal music today the underground is full of newcomers who bring enthusiasm and fresh ideas but you have to admit that which bands are putting furious,evil,blasphemous music since late 80’s/early 90’s era their musical style,composition,lyrics structures everything’s are full of reverence . Nowadays a lots of newcomer bands are influenced by late 80’s/early 90’s musical era and borrow the vibe which is really appreciable. Well, Two years since their last studio effort “Solarflesh: A Gospel of Radiant Divinity” Warsaw based Polish blackened death metal act Hate unveiled their ninth full length album entitled “Crusade:Zero” Via Napalm records In the beginning of 2015. Already they are experienced and well renowned in underground music because of their astounding,critical acclaimed,heavy, darkened,gloomy ,enigmatic blackened death metal musical style, hard work,well skilled performance and flawless efforts. This new album consist with 12 tracks and a bonus track “The Reaping”. 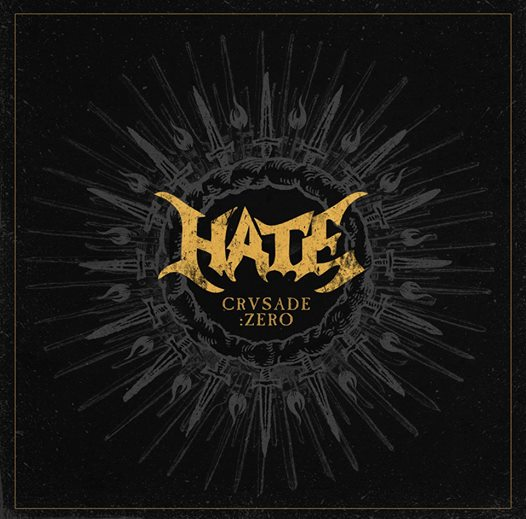 Basically Hate was formed in 1990.Death Metal with unconventional influences enjoys indeed tend quite popular . Certain blackened death metal bands were able to gain proper attention and Hate is a well established group of bands who can make a fully sound and creative and with a lots of excellence,doomsday,apocalypse in his lyrics,with well crafted,distinct content .Now I’m straight diving to the point about this new album . This new albums whole compositions are excellent and unsettling piece of sinister euphoria and unearthly ambiance .when at first I have checked out this album I was astounded .This albums intro starts with Serious,orchestral and dignified instrumental track. Another surprising thing is this new album is framed between instrumental track (intro and outro) and definitely those tracks portrayed the flavor of unique,superior quality Polish death metal. After a multiple listen this album totally enthralled me with their heavy, powerful,blasting ,overarching,chromatic musical style laced with technical riffs solo ,blackened,gloomy atmospheric vibe just blew me away . They have exudes tremendous effort in radiant way on this album with excellent diligence and nailed it . I really appreciate this bands each and every musicians unsurpassed ability and skill . This whole album reflects the grand diversity of sound brought together on this album .Their incredibly gloomy,sinister and disparate musical styles all combined in one bold, enlightened display of unbound creativity Despite the often fast ,furious,cacophonous, heavy and barbarous form of death metal assaults with a lots of segments of black metal laced with intricate riffs work with technical prowess enriched this album that is very powerful,heavy and brilliant all at the same time along with a good balance of black metal,melody and brutality with strangulated ,intricate riffs work and those effective rasps simultaneously . I highly appreciate and embrace this album because of their distinct style . This albums opening instrumental track starts with Serious,orchestral and dignified musical style. From this new album we get ultra-fast, oppressive death metal finest variety with just make enough melody . This album is filled with a slew of ruthless , traversed ,chugging, groovy,intricate,apocalyptic,crushing riffs line ups with technical prowess . As well bass line up is shifting, chaotic,distorted,rumbled and punchy . Drumming,percussion line up is thundering, pummeling,punishing,frantic,blast beating and rabidly insane . There are a slew of individual riffs,solo sections which sound briefly something exotic . In each track intricate,spectacular riffs,bass lineups matched in fantastic way with technical orientation . This album indulge strong, nihilistic,apocalyptic lyrical theme and brilliant musicianship . Tempo changes are excellent and complicated . Vocals roaring growls,deep rasps, aggressive, vigorous, crucial voice intertwined in a good manner with their utterly savage, vitriol,merciless,onslaught,violent,uncanny blackened death metal sound with a lots of intricate,technical riffs work, melodic accompaniment and embedded perfectly . I really worship this band . Each song have an energy ,fluency and dominating power . Stand out tracks are all of em . I personally cherish - Death Liberator,Leviathan,Doomsday Celebrities,Hate Is the Law,Valley of Darkness,Rise Omega the Consequence!,Dawn of War . Bonus track “The Reaper” is remarkable too.Their latest effort “Crusade:Zero” consist with total four instrumental track.each and every single instrumental track is appreciable.Album artwork is atrocious,indelible . Overall "Crusade:Zero" whole album Sound extremely promising,engrossing ,significant. Indeed this album is such an true gem of this year and this album will give u unyielding awesomeness from beginning to the end . Their potential on this album is noticeable . I’ll say this whole album is epitome of death metal . outstanding another one release of this year so far . This whole album is tight,straightforward with aggressive sound that carries Hate’s signature style and unique composition. I am pleased to say that Hate’s latest addition strides infinitely higher due to it’s strong increase in quality within literally every characteristic latest album. I am pretty damn sure Hate can continue their stride in the future.This is strongly recommend to add it in your collection. If you are looking for something different, splendid,majestic album of 2015 this pure unadulterated blackened death metal album is perfect .